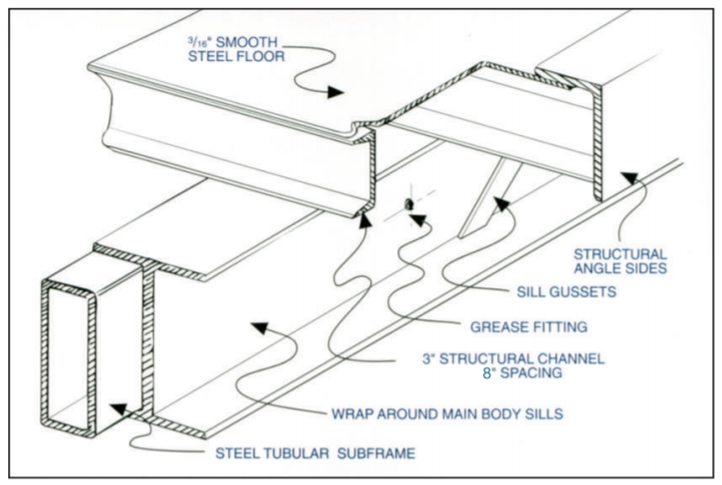 Our steel carriers feature structural steel "C" channel cross members, which prevent erosion. The crossmember spacing is 8" on center, rather than 12". An aluminum shield for the steel carrier or a wooden bed are options available upon request.